Hacking email accounts protected with weak passwords. Protect your organisation against these risks. Users don’t need to change the way they work or switch email client. Join the thousands of people across hundreds of organisations who use ZIVVER every day. 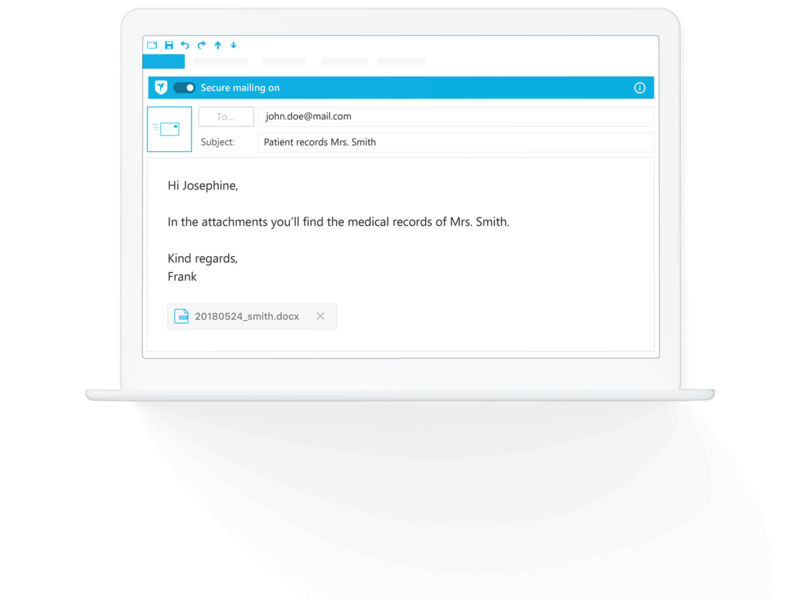 To prevent human errors, ZIVVER’s smart technology alerts you before you send an email that contains sensitive information. Reduce the likelihood of selecting the wrong recipient and of sending sensitive information unsecurely. When you share sensitive information online, you only want the intended recipient to have access. With our two-factor authentication (2FA), the recipient receives a secure access code. Without this, unauthorised people cannot gain access to sensitive information, even if the mailbox has been hacked or the device stolen. With ZIVVER you choose a future-proof solution to prevent data breaches and keep hackers out. Automatic TLS-secured connections and asymmetric zero-knowledge encryption offer protection. Because of this, ZIVVER cannot view the content of messages attachments. Confidential is truly confidential. 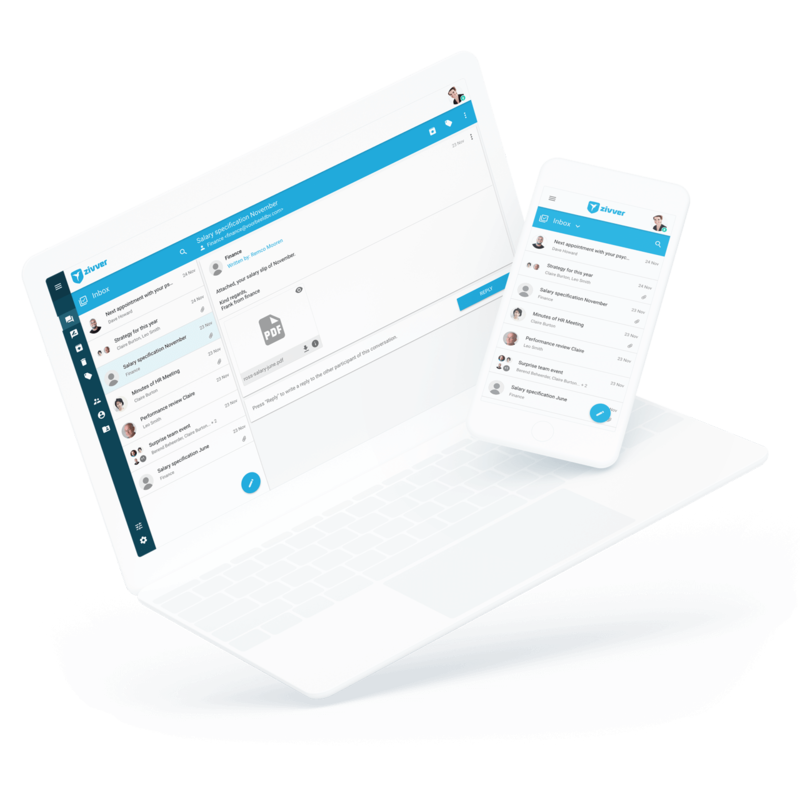 With ZIVVER you always keep control of your email messages. You can see whether messages have been read and - in case of a mistake - you can revoke them. If you suspect a data breach, ZIVVER’s audit and communications logs let you find out what happened. You can also recall the message to minimise the damage, as well as to meet your obligation to report data breaches. Wondering how you can communicate securely within your work environment? Our live 45-minute demos give you the opportunity to find out more and to ask further questions. With ZIVVER you use your own, familiar email address. You won’t use a @zivver email address. With ZIVVER you work securely within your normal environment (such as Outlook). ZIVVER works on desktop, iOS and Android. 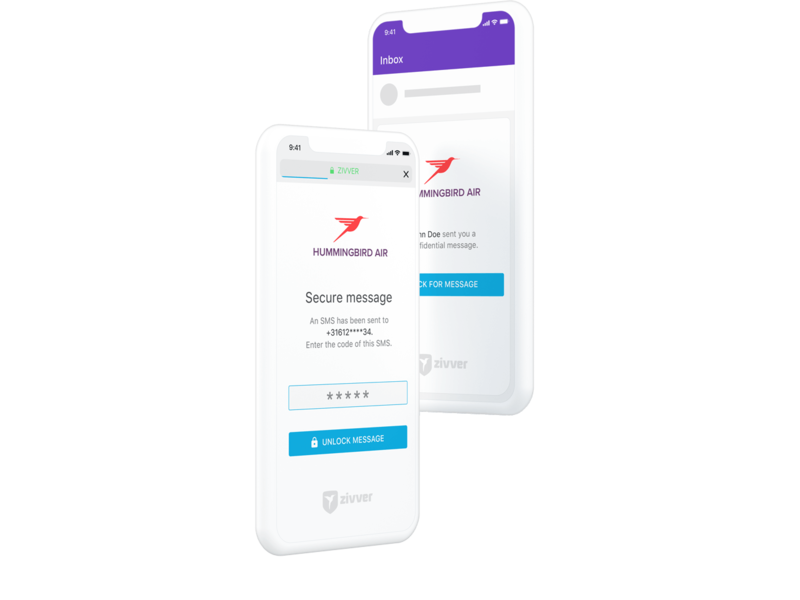 ZIVVER identifies sensitive information and analyses the intended recipient, notifying you if an addressee has not received a particular type of sensitive information before. ZIVVER combines the identification of sensitive information with the analysis of the intended recipient. You receive an alert if ‘conspicuous recipients’ have not yet received this type of sensitive information before. You always keep control of sent messages. You can see whether the messages have been read and can revoke them at any time. This way, you quickly stop potential breaches. 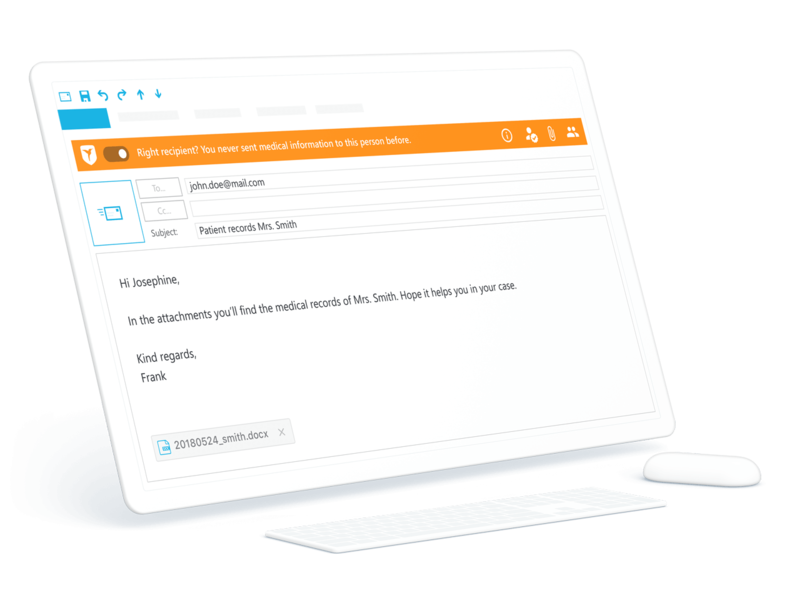 Transfer files up to 5TB right from your regular email client, regardless of any mailbox restrictions. Say goodbye to unsecure online file transfer services. ZIVVER fits in as well as possible with the user experience of your email solution. Outlook only shows an extra ZIVVER toolbar at the top of the screen. Anyone can receive, reply to, copy, and download secure email messages. Even without their own account. For each email, the recipient receives a notification which directs to the secure guest environment. Automatic TLS-secured connections and asymmetric zero-knowledge encryption offer protection. Confidential is truly confidential. 2FA is standard on all ZIVVER accounts, and optional when sending messages. The recipient will receive a code by text message. Mobile number unknown? Use an access code. ZIVVER is available both on desktops and mobile devices. This makes ZIVVER perfect to use at work, at home and on the go. Simply download the app for secure emailing on your mobile phone and tablet. For each secure email, the recipient receives a notification message directing to the secure guest environment. To increase the recognisability and reliability of messages, add your company logo. Employees of specific departments use functional accounts as well (e.g. contact@company.com). They gain access to a functional account with their personal account. 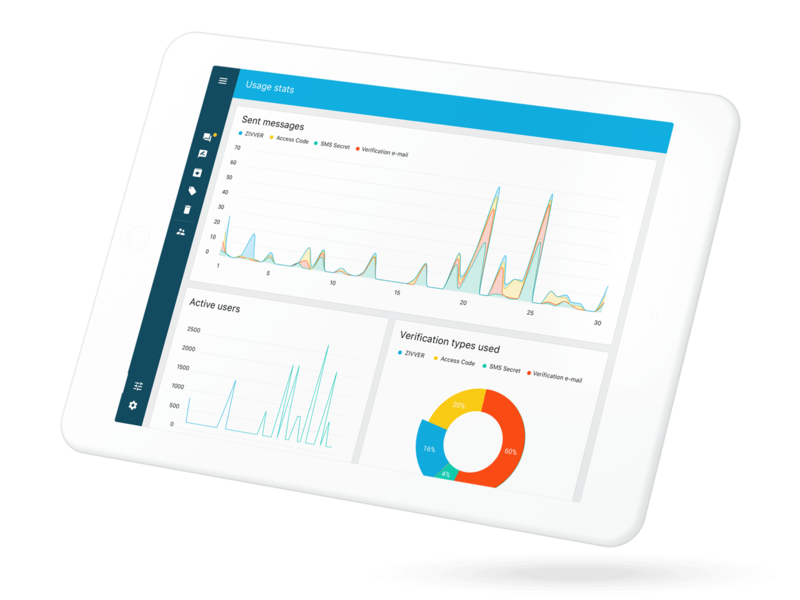 Users log in easily and securely with a simple single sign-on solution (SSO). ZIVVER can help your IT department with the one-off installation. 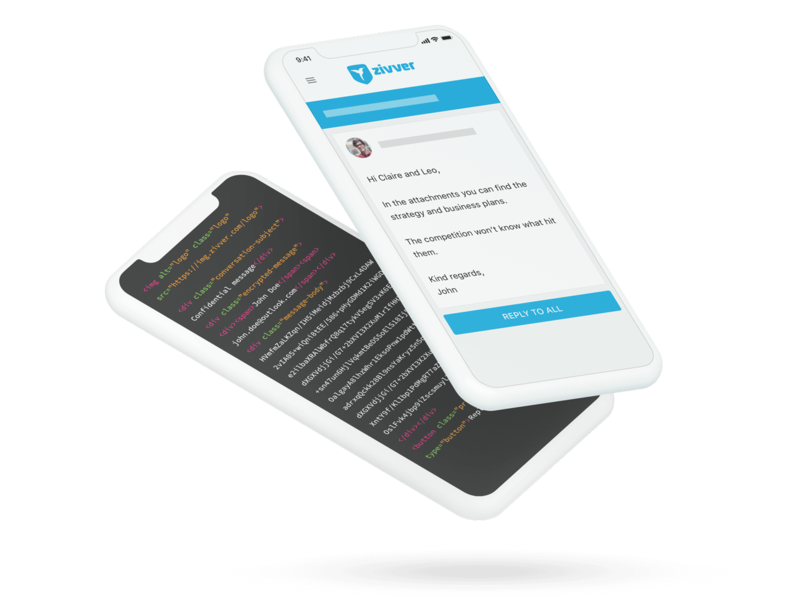 With the API, applications have the option to connect to ZIVVER. ZIVVER provides insight into the use of secure mailing. In addition, audit and communication logs record all operations – from management to sent emails. With ZIVVER you communicate securely in compliance with GDPR, ISO27001/2 and industry-specific standards. "Our employees are particularly pleased with how simple and fast the software is." Fill in this form to request a free 45 minutes demo.